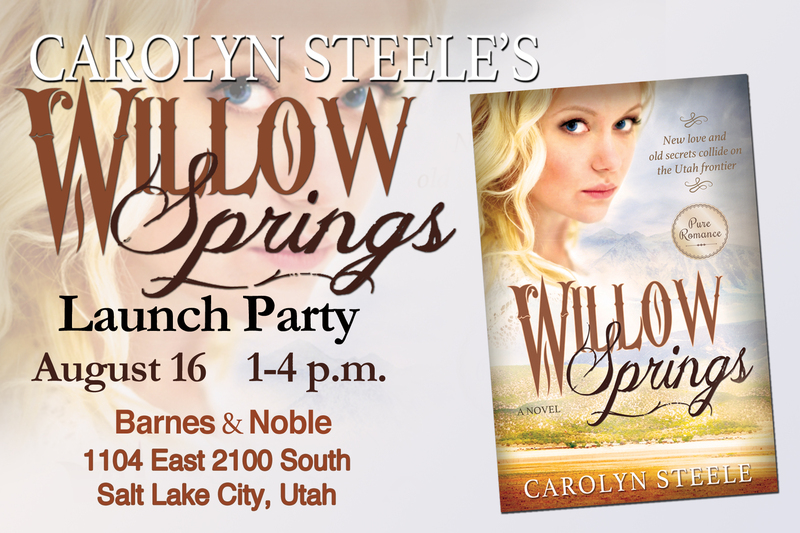 Willow Springs hits the shelves in just over three weeks. 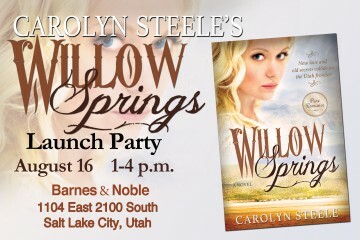 Join me on August 16 for my launch party at the Sugarhouse Barnes & Noble! This entry was posted in Uncategorized on July 20, 2014 by Carolyn Steele. 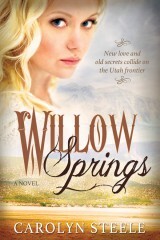 I met you at Barnes and Noble on Saturday and I decided to buy your Willow Springs book. 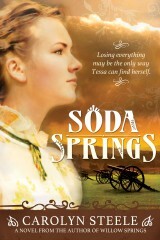 I read it and loved it! Thank you! Cristine! I’m so sorry! I keep forgetting to check my site for comments! I do apologize. Thank you for the kind note. I’m so glad you liked it! You just made my night!